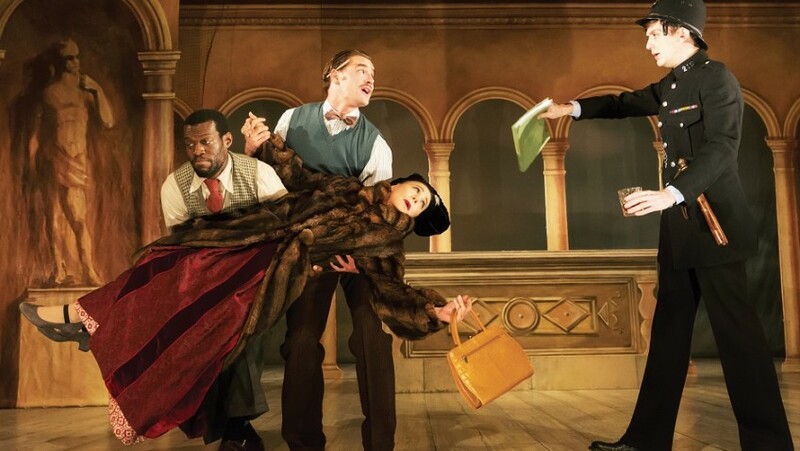 Kenneth Branagh opens a year-long season of plays with Harlequinade, a farce by Terence Rattigan, and The Winter’s Tale, a tragic-comedy by Shakespeare. Harlequinade premiered with The Browning Version in a double-bill in 1948 and was designed to be the soufflé at the end of the meal and not the main course. 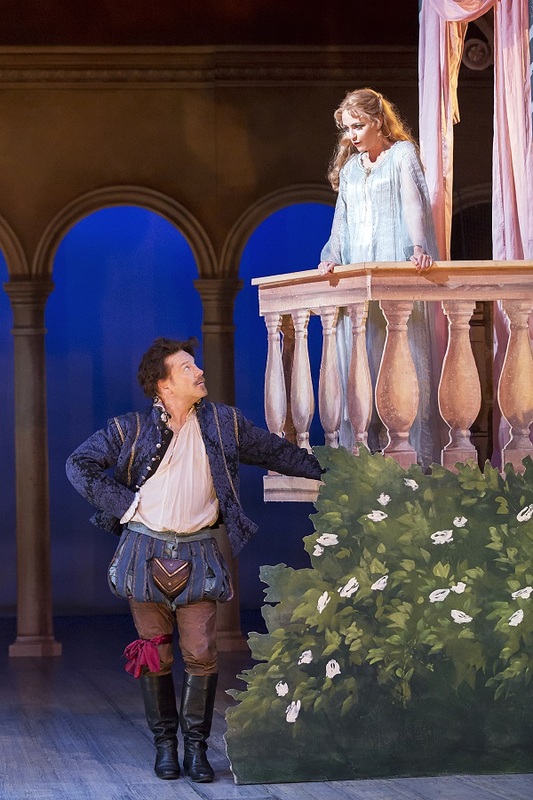 The farce is a poor joke at the expense of the theatrical profession touring the provinces in tacky production of Shakespeare’s Romeo and Juliet, acted by two middle-aged actors, who are playing to audiences who would rather go to films. The two actors, “entirely self-centred, entirely exhibitionistic and entirely dotty,” are caricatures based on Alfred Lunt and Lynn Fontanne and also John Gielgud. Rattigan had the role of the musician who has one line, “Faith, we may put up our pipes and be gone.” He said it so badly it always got a laugh. Kenneth Branagh and Miranda Raison have their comic moments; but there are not enough of them. Tom Bateman, who plays their stage manager, is a natural farceur. Harlequinade is preceded by All On Her Own, a 15-minute monologue, which was written by Rattigan for television and specifically for Margaret Leighton and aired on BBC2 in 1968. 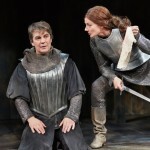 A widow (Zoe Wanamaker), late one night and having drunk too much, carries on a conversation with her dead husband and who she imagines to be in the room with her. She voices his sentiments by putting on a bad Northern accent. She knows he didn’t die of a heart attack; he committed suicide because he was unhappily married to her. Helen McCrory is having a big success as Terence Rattigan’s heroine.